Janson Beautyis a family-owned business established in 1981 from humble beginnings in a house in Mile End, East London. 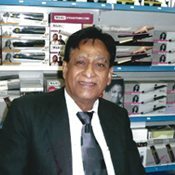 In 2002 the business moved forward when I left my legal practice to work with my late father, Mr Alimohamed Janmohamed, who was one of the pioneers of the afro cosmetics industry in the UK. Our first 5,000 square foot warehouse in Dulwich, South EastLondon had to be doubled in size in as little as four years to accommodate our rapidly expanding business. Originally from Africa. 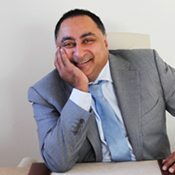 Came to UK in 1981 and started this business in the same year. Janson Beauty stocks over 7,000 lines from over 100 different brands. Therefore our new 20,000 square foot warehouse in Mitcham, Surrey serves as a one-stop shop for everyone from small retailers across the UK to international distributors stretching from Europe to as far as USA, Africa and the Middle East. In addition to this, our brand new 1,500 square foot in-house show room is ideal for salon owners and barbers alike to shop to their heart’s content from the vast range of products we have to offer, including Sensationnel and Outre hairs and wigs. As a market leader in the Afro-Caribbean beauty industry, thanks to the hard work put in by my father and the invaluable experience I gained from him, Janson Beauty is here to offer you the very best service and to ensure that you remain Number 1 among your customers.